Learn all about your child oral health, hygiene and cleaning tips and advice, and everything you need to know about children's dental care. My kids hate to brush their teeth. What should I do? Do your kids hate to brush their teeth? Here are a few tips from our Smile Town dentists to help make brushing more fun for your child. If your baby is teething, it may feel like nothing helps to ease their discomfort. If you’ve tried everything else, here are a few unusual tips that could help get your baby through this tough time. 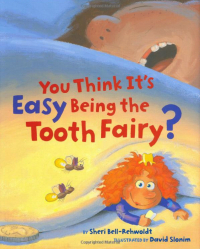 It can be tricky getting kids to brush for the full two minutes required for optimum oral health. To make it a little more fun, here are three great songs to play for your kids while they brush! 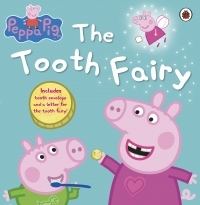 Helping children develop healthy oral hygiene habits that last is just as important as teaching them the correct brushing and flossing techniques. Here are some tips and ideas for helping your children develop a healthy dental hygiene routines. Whether your children use a night mouth guard to prevent teeth grinding during sleep, or a sports mouth guard to protect their teeth and jaw when playing sports, it’s very important to keep the mouth guard clean! In addition to brushing, children and teens must floss regularly (just like adults!) to keep their teeth and gums healthy. However, flossing can be tricky, and young children in particular may struggle to properly manipulate the floss. Here are some ideas to help make flossing easier for kids and teens. This handy guide from our Burnaby dentists provides the basics about teething, from when you can expect your child’s baby teeth to come in, to the order they’re going to erupt in! These days, toothbrushes come in all sorts of shapes and sizes, so you can choose one that’s just right for your toddler. Here’s a guide to get you started.